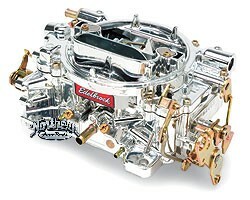 Now, Edelbrock engineers have taken a great carb and made it even better with the exciting Edelbrock Thunder Series AVS! 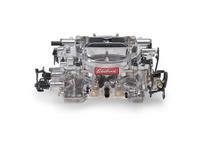 Designed and calibrated to deliver optimum street performance in hundreds of applications, Edelbrock Thunder Series AVS carbs are undeniably the most innovative and dependable street performance carburetors available today. 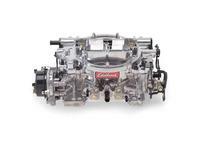 Thunder Series AVS carbs have outstanding features like the Qwik-Tune secondary air valve and share all the performance advantages of the popular Edelbrock Performer Series. 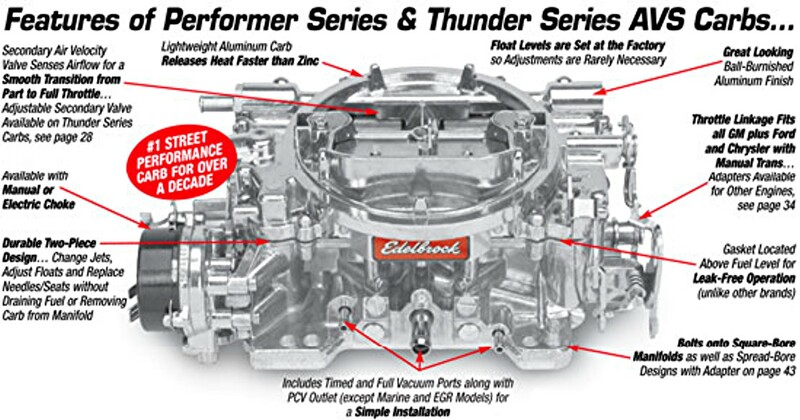 Features like a sturdy 2-piece body, no power valves to blow for superior reliability and a design that's simple to tune to your needs make the Edelbrock AVS Thunder Series carburetors the best you can buy. 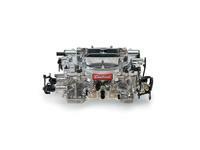 Edelbrock's unique Qwik-Tune Adjustable Valve Secondary allows you to adjust the secondaries with simple tools... no springs required. 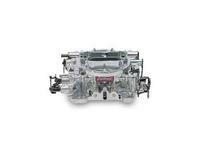 Use a late opening for heavy vehicles with higher gears or an early opening for light vehicles with lower gears. 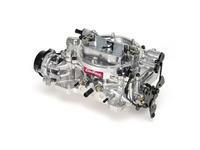 Edelbrock carbs deliver optimum performance for whatever you drive. 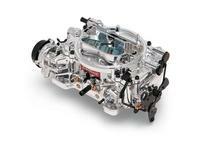 Edelbrock Thunder Series AVS carbs have a CNC-machined and profiled front face for a smooth clean look. Distinctive black hardware delivers a totally custom appearance. Looks as hot as they perform! 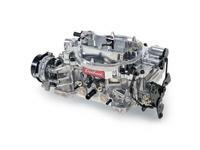 Designed specifically to stand up to the tough 4x4 environment, these Thunder Series AVS carbs include spring loaded needles and seats for consistent fuel supply over rough terrain. The side-mounted fuel chambers are less likely to flood while climbing hills... no need for extended vent tubes. 650 cfm size is ideal for most small-block V8s. 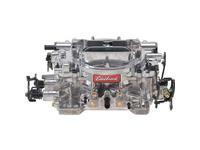 These carburetors have the same great features as our proven and dependable Performer Series line such as: float levels set at the factory so adjustments are rarely needed for "bolt on and run" performance; 2-step metering rods for independent tuning of cruise and power circuits; change jets, adjust floats or replace needles and seats without draining fuel. 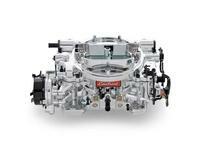 Of course, expert technical support is provided with all Edelbrock products. 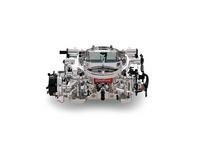 Contact the Edelbrock Tech line: 1-800-416-8628, 7am-5pm PST, M-F, or go to our web site for the latest Technical Information. 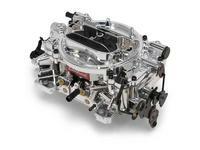 The same outstanding features as the dependable Edelbrock Performer Series line and more! 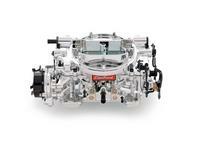 Includes: Metering Jets - Primary .095, Secondary .098; Metering Rods - .065 x .047; Step-Up Spring - Orange (5" Hg).